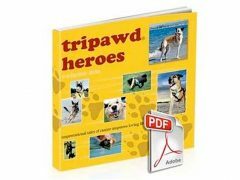 This second video in our Tripawds Trailer Trilogy series features more Tripawd Heroes and Angels loving life on three legs: Codie Rae, Adelaide, Fang, Murphy, Valkyrja, Blaze, Johnnie, and Frankie. With the videos we’ve received so far, we have only produced two new Tripawds Trailers. 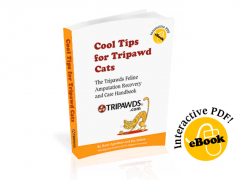 Don’t miss Part One and watch our featured playlists or visit the Tripawds Youtube Channel for more fun and informative videos.